A wide range of bike tours to offer you the best way to explore Salento and appreciate its colours, scents and landscapes. 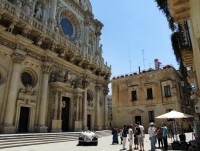 Excursions start from Lecce and Gallipoli. Each itinerary shows you spots of historical, natural and gastronomic interest. They run mostly through secondary roads and bike paths, away from traffic. The itineraries are safe and scenic. 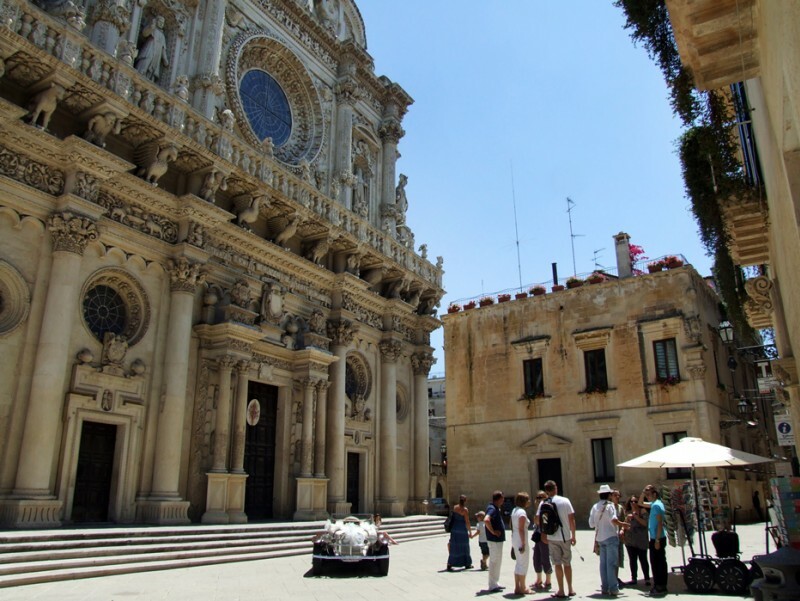 You start out from the old town of Lecce to reach the village of Acaya, the medieval fortified town, where you’ll admire the impressive castle, the boundary walls and the urban plan of the old town that has been left unchanged over time. Then you head to the Cesine Natural Reserve, a wetland that is home to many species of plants and aquatic birds and today is a WWF protected area. Break on the beach for a refreshing swim, weather permitting. On the way back through Strudà, you will visit an olive grove where some trees are a thousand years old. On your return you will stop for a tasting of typical products. Riding on unpaved roads among hundreds-of-years-old olive trees, you cross several fortified farms of the 16th/18th century, which were once both places of agricultural production and important defense points against Turkish attacks. You will also visit important sites of worship such as the Church of St. Mary of Aurio, dating from the 12th century, and the beautiful Abbey of St. Mary in Cerrate, dating back to the Byzantine era, where there is also an interesting museum of folk traditions. Sun permitting, don’t miss the chance to take a break on the beach. On the way back you’ll cycle through the Rauccio Natural Park. On your return you will stop for a tasting of traditional products. First stop is Alezio to visit the Messapian Museum, then you’ll go on to Tuglie for the stunning Radio Museum (all the items, including telegraphs, are still working!) or for the Museum of Rural Life. Heading back toward the coast, in the Porto Selvaggio Natural Park you’ll have a picnic lunch in the shade of the pine forest and, for those who feel like it, a refreshing swim in the cool spring waters. You’ll return to Gallipoli by sunset. There, if requested, there is the possibility of arranging an aperitif with local wines or craft beers. Distances are suitable for everyone, even if you are not trained and especially for families: children from 8/10 years old up will have their own bike, younger children will avail of a seat placed on the back of their parents.